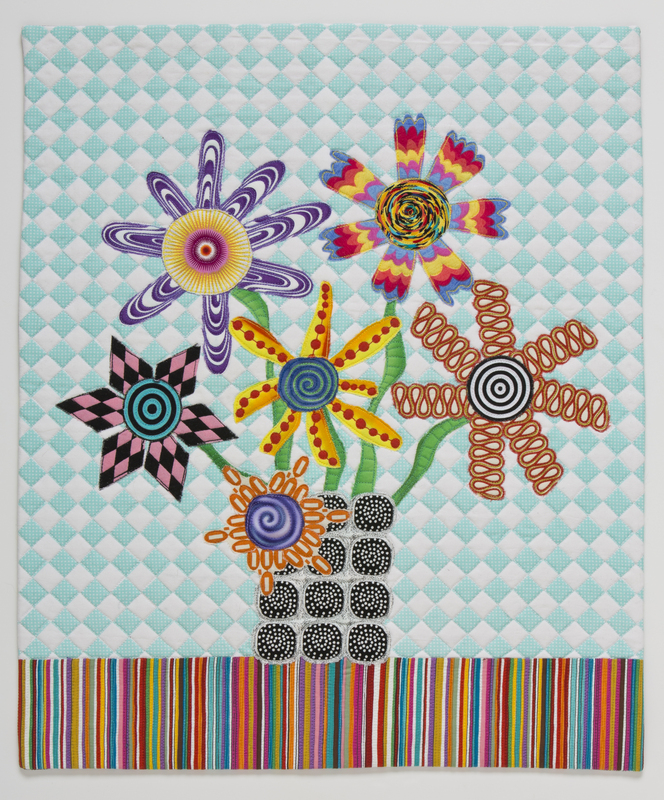 Next Sunday afternoon, that’s December 13, from 2PM- 5:30PM, I will be teaching Modern Broderie Perse at the Quilt Zone. You can call 907-561-2020 to sign up for the class. 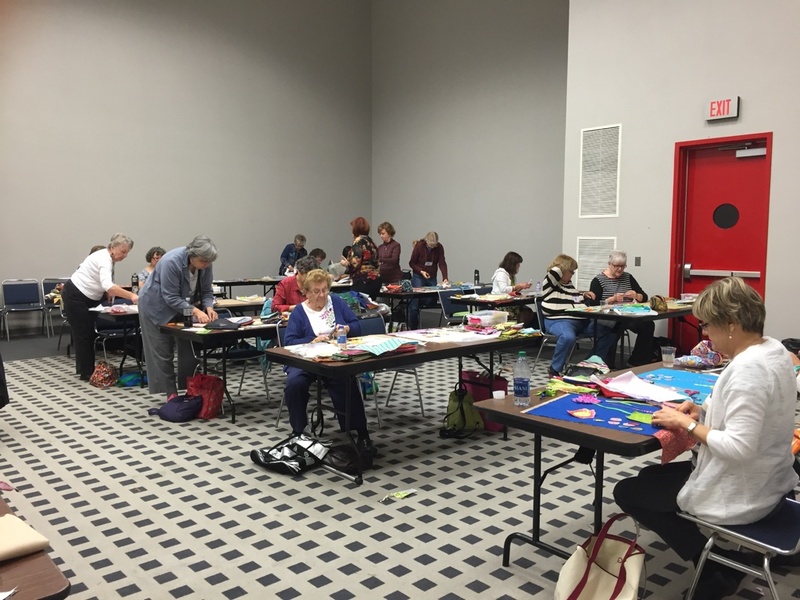 Modern Broderie Perse was the first class I taught at the International Quilt Festival in Houston this year. The photos in this post are from that class. As you can see, the students were focused and made truly imaginative final pieces. The workshop atmosphere was much like a kindergarten class. People were making things without censorship or self-doubt. It was awesome. I had a little bit of a teacher’s buzz going on from the experience. Later that day, after I had given a lecture, a fundamentalist broderie perse teacher approached me. She had heard about the class and seen the work done, and she was appalled. She made it quite clear that my teachings were blasphemy. She was so adamant, I began to question the concept of the class. This confirmed what I already knew. Broderie Perse is about cutting images out of the fabric and putting them on a background fabric to create new images and/or decorative patterning. 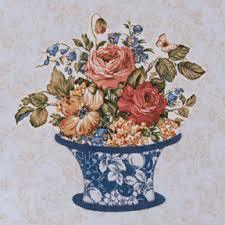 I found some excellent examples of this on Kay MacKenzie’s blog All About Appliqué. 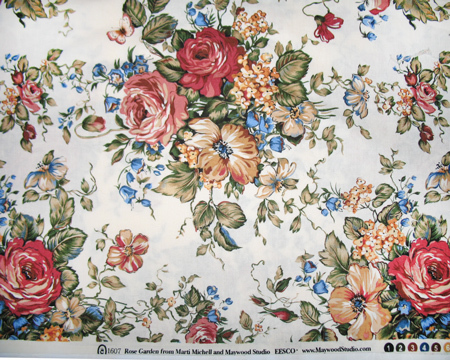 Here is the fabric she started with. And here is her Broderie Perse work. 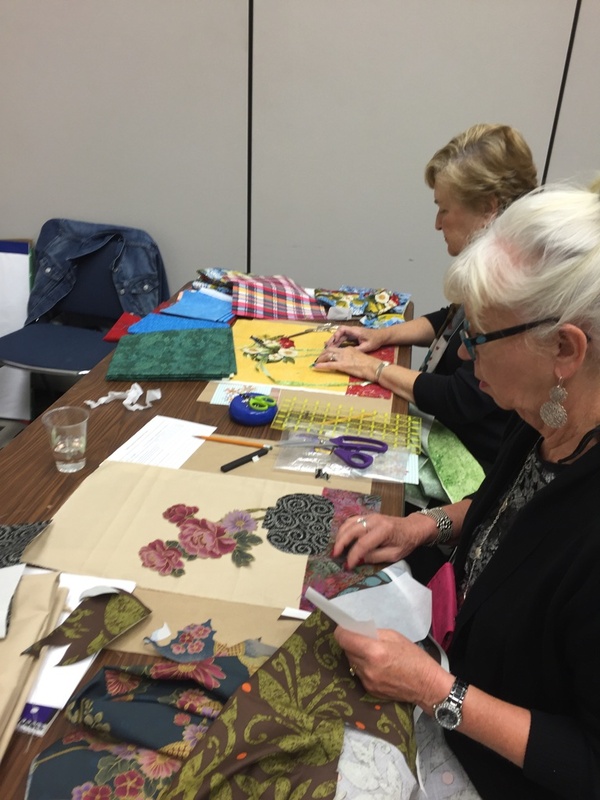 My students started with images in fabric too. Some of them honored the original images in the fabric. And some of them did not. Either way the final results were joyful. If I am a heretic, that is OKAY by me.. Especially if it means my student’s work looks like this. If you would like to take a look at my complete teaching and lecture schedule you can by clicking here. 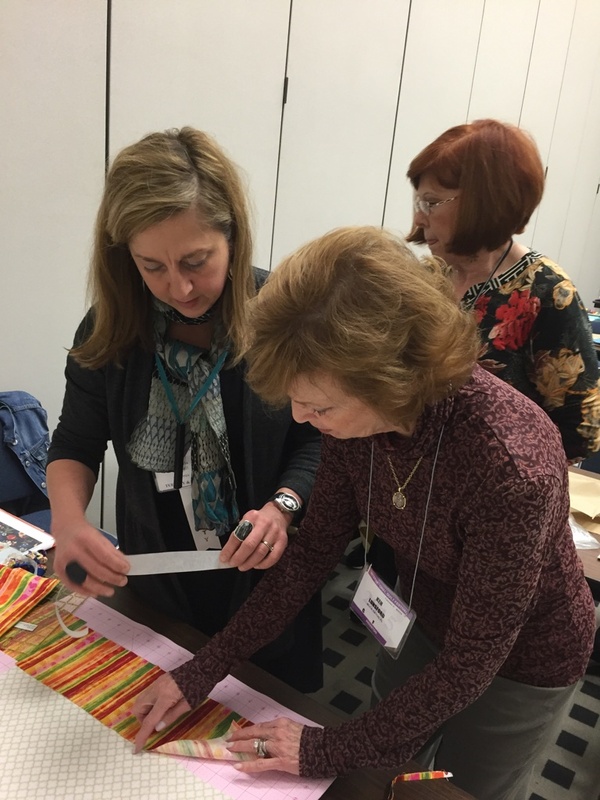 I would love to have you in a workshop! 06 Dec	This entry was published on December 6, 2015 at 1:28 PM. 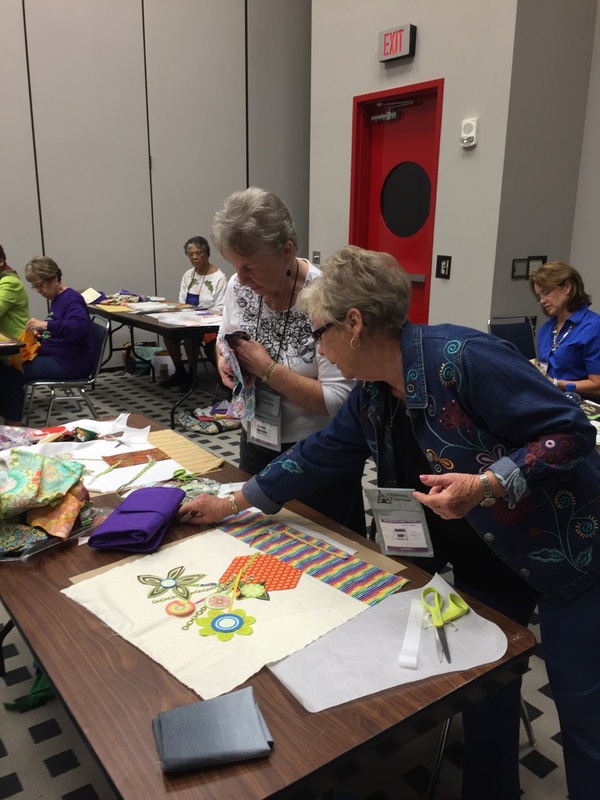 It’s filed under About Teaching and tagged International Quilt Festival Houston, IQA Houston, Modern Broderie Perse, Quilt Zone. Bookmark the permalink. Follow any comments here with the RSS feed for this post. I’m glad that you’re a “heretic,” according to that Killjoy. 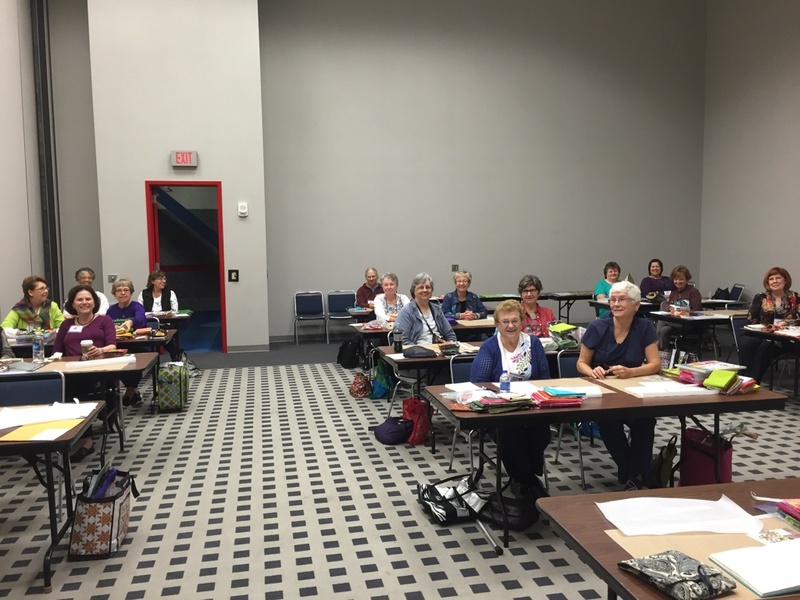 Your class looks fun and I am glad I have signed up for it! Thank you Nancy! It will be good to see you (twice) this week! Your students are the best judges of the experience and it looks clear that they would vote for having had a great time. Too bad the other teacher couldn’t appreciate it. Thank you Ann! I really feel that one of my purposes in life is to help people activate/grow the creativity that exists inside of them. In that way this class was a huge success. Uulp!! I think you ran into a member of the Quilt Police Force. Glad you only got a warning and avoided jail. Looks like a beautifully creative class. Go you! I know! And I was totally caught off guard. Usually, after I speak, the people who want to talk to me have GOOD things to say. It is a lesson in learning about being in front of people. Some people just aren’t going to like what you are doing,teaching, or saying. I have to respect that and move one. Thank you for stopping by Barb. I really hope you are doing good. Love what your students were able to create in a one day class. I bet they are pleased themselves! The teacher who approached you just seems out of touch with the times. Has she heard of the Modern Quilt Guild? 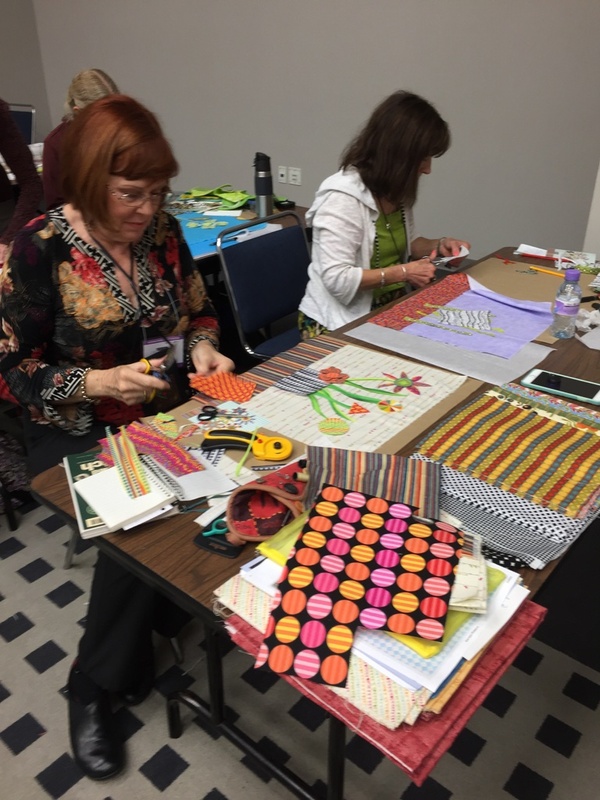 Debby- It was a super fun class. Everyone worked so hard and seemed genuinely happy with their work. I love it when that happens. I think you right, but some times traditionalists have a hard time with change. As someone who has studied both traditional and experimental fiber art through the City and Guilds Institute of London, I understand what the other instructor was referring to but not why she appeared so strident. You are calling the process Modern Broderie Perse, giving it a twist. And I can see in the examples there is still a sense of the traditional, so I’d say you’ve represented your technique well. It’s hard for some people to let go. Kathie- Thank you for commenting. Your words mean a lot to me. My reaction was similar to yours. I really tried to say, Okay let’s just agree to disagree, but she wasn’t interested. She really felt I was wrong. And any time that happens I think it is worth it to take a step back and double check. It is good to have expert weigh in. Thank you! All I can say is “jealousy is the horse the devil rides”. Your class was a fabulous success. Don’t let anyone tell you you are less than a superb teacher. 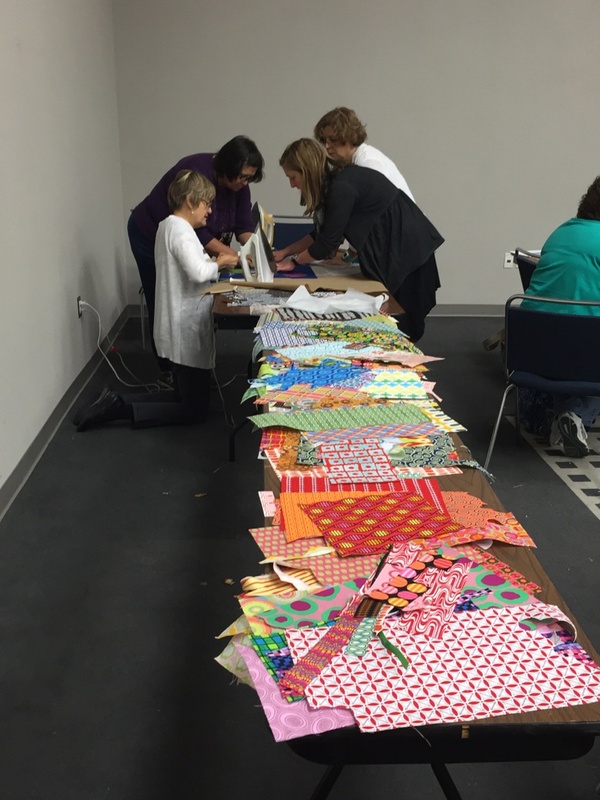 This quilting is not a space ship, but a creative endeavor that reigns just as important. Thank you Nysha. You are absolutely right. Someone once told to find my Amen sisters and go with them. That is what is helpful. I hope you are doing GREAT. Sticks and stones to the woman who criticized you so roundly. 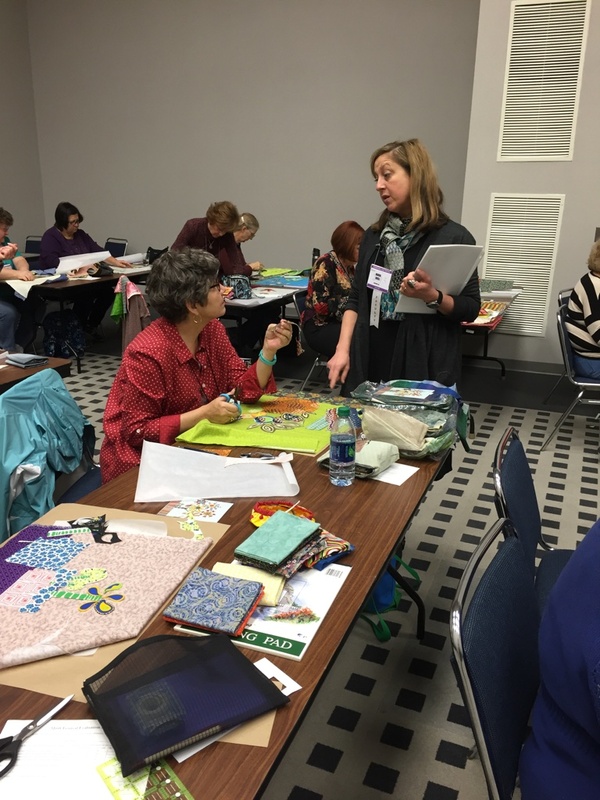 You’re fine–just keep on doing what you’re doing, and your class at the Quilt Zone will be a big success. I’m sure that a number of Alaskans will be looking for a creative outlet by Dec. 13th. Thank you Pam! It really was my first encounter with being publically criticized. I am OKAY and I know we are going to have fun this weekend. I hope you are doing good! You mentioned this woman’s comments earlier on FB and I looked up Broderie Perse to see how it was formally defined. I didn’t then, nor do I now, understand why what you’re doing doesn’t fit the definition. Just because you’re working with more modern-style fabrics? Seems that the underlying process is still the same. That woman’s nuts, and you’re doing great. Thank you Sharry. The whole thing was a bit weird. The fact that she was quite confrontional about it, and then she would not let it go. And I have to be honest, it was one of the first times I had been on stage which is some way makes it okay for people to come up to you and say whatever the want to say. I have to learn to deal with that. I will, but the first time was a bit unnerving. I need to channel my inner Sharry Miller! In my museum docent experience, I’ve often found that the people who make the most ardent and angry statements over why something “isn’t”, also often can’t articulate why. This seems to have been an emotional reaction, from whence it came I can’t explain, but rational and respectful dialogue is very hard to have when someone’s in a tizzy. I’m glad you’ve recovered your confidence and your desire to push on. Vivien- That is exactly what it felt like! At first, I thought she was interested in the class, but then I realized whatever I said would be something she would argue against. It was such a strange experience. I suppose that is part of why I shared it. It had a surreal component to it. Of course, it is always good to think about what you are doing and why you are doing it, and she made that happen for me. Thank you for stopping by Vivien! AND, if she were not there, another would rise to the occasion. All teachers know that about the class trouble maker. Carry on…….. The trick is spoting the trouble makers early on! Quilting is not a science. There will always be adaptation and even growth. Be glad that you are one of the “growers” and not one who is left behind. On a similar note, many years ago (20?) I entered a quilt in a local show that had been (horrors!) machine quilted. I had quite a few people react emotionally to that. How dare I break the rules! I’m glad I did….. I can just imagine what happened at that local show. I’ve been thinking about this a lot and trying to see areas where I might be like the conservative quilter. My hang up is craftsmanship. I know I cling to outdated ideas in that area. Thanks Heather for stopping by! I had no idea what Broderie Perse is, but was enjoying the images anyway. Then I read on to what happened with the “police.” I just don’t understand why people feel compelled to criticize someone in a public space, or even at all. But we all have that kind of reaction, I think, to someone like her. I would have done the same and looked it up to see if I was doing something wrong.The work you and your students did is wonderful, cheerful, and bright. And I learned something new today. You go girl! Ignore the quilt police. 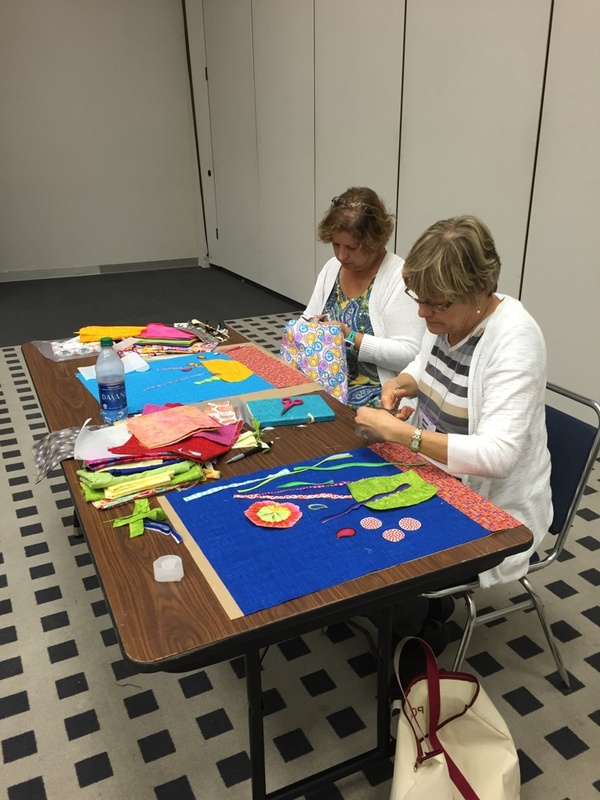 Modern improve quilting keeps what is necessary and tosses the rest. In the late 70’s i had fun with my first two quilting endeavors, urged on my girlfriend who showed me how simple it could be, with reminders that the end quilt would be unique and fantastic regardless of my needle slips. Then i talked to the quilt police in the early 80’s and felt shut out by the domineering perfectionists. I shifted to elinor peace bailey dolls, her classes were total play. Improv in small scale. Completely inviting, as it sounds like yours are. Now i am back decades later ONLY because of blogs like these that push for play, explore enjoy and improv. Tell the quilt police to piss off. Oh. And give this type of applique a sexier name, rebrand it and make millions selling a book. Revenge of the Makers! Great comments and story! Thank you. Yes the name for this morphed version of Broderie Perse has always been a problem for me. I used to call it Art Applique. I will keep thinking on that. In the meantime, I hope you will keep stitching!